Plaid now refers to a pattern of stripes and checks, but originally, it was a type of Scottish Highland dress. Scottish kilts, 2 yards wide by 6 yards long, are worn pleated around the wearer. Plaid also refers to a shawl or mantle worn over the shoulder and fastened with a brooch. Now we call this type of pattern, Tartan. 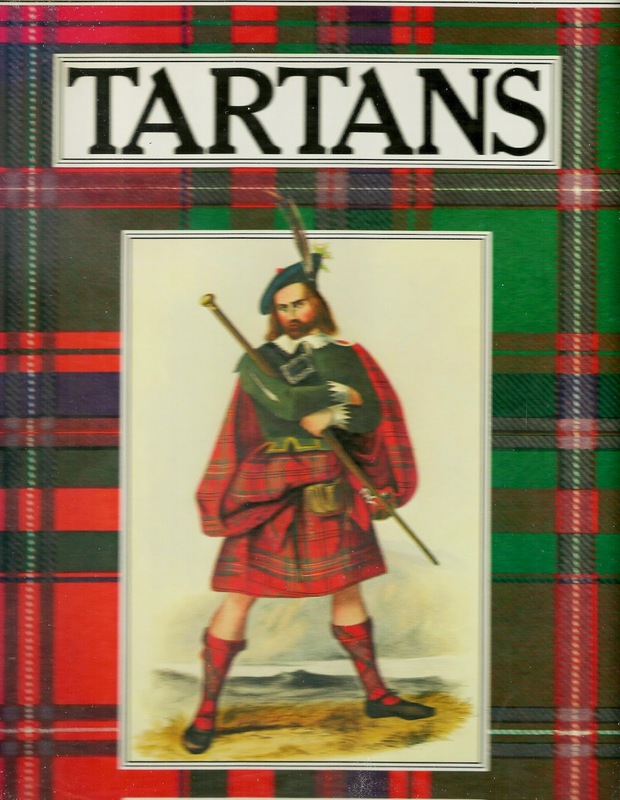 Originally, Highlanders called tartan “Breacan” from Gaelic meaning “spotted”. 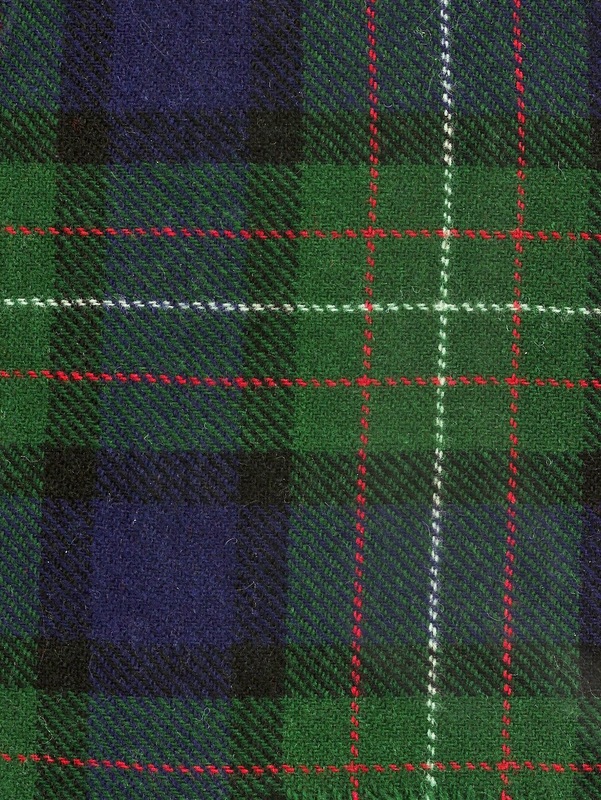 Some claim the word “tartan is related to the Old French word “Tiritaine”, meaning rough and wooly. Others say it comes from Gaelic “Taratin” meaning across, which seems more likely. 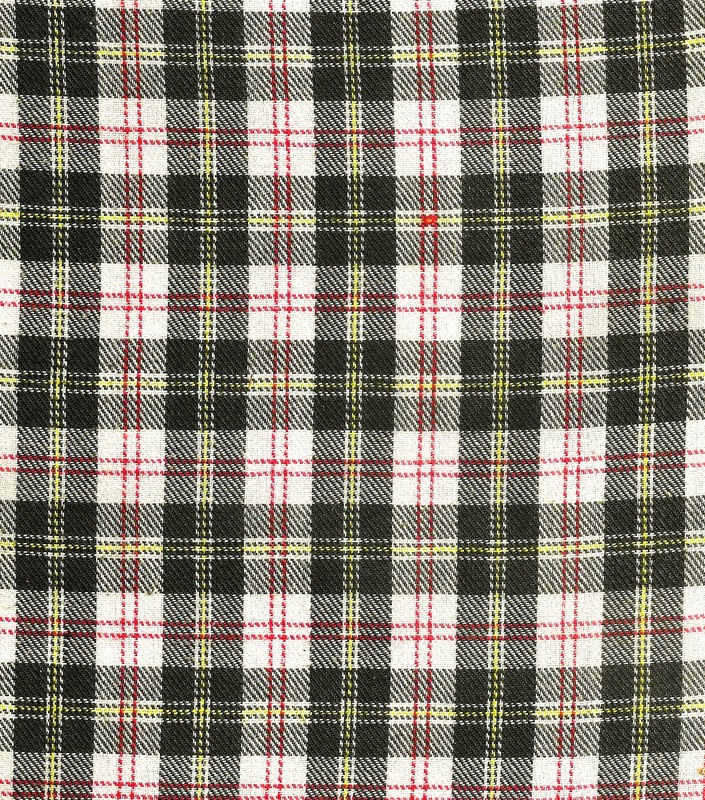 Tartan is a plain, 2/2 twill weave. The stripes of colored yarn are in both the warp and the weft. A tartan can be made is any size, depending upon its use, but the proportions of the widths of the stripes (sett) must always remain the same. While many ethnic groups have replaced their native dress with western wear it is interesting to see Scottish clan dress worn , not only for special festivities but often for everyday. On our many trips to the Highlands we have even seen a lone kilt-wearing Scotsman playing the bagpipe in the median strip of a highway coming from Inverness.